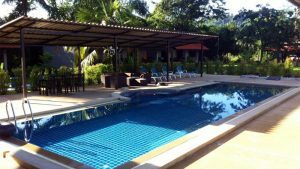 Looking for cheap rooms in Khao Lak? 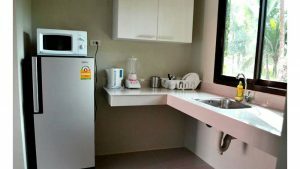 You can find budget accommodation near Bang Niang night market. There are guesthouses like K2 Backpackers Hostel and Riverside Guesthouse that offer rooms for around 500 Baht per night. 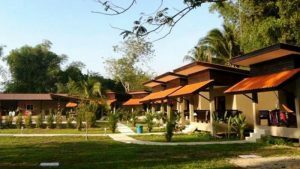 But if you want to stay in cheap accommodation and do some training as well you can consider staying in the shared rooms at Rawai Muay Thai. 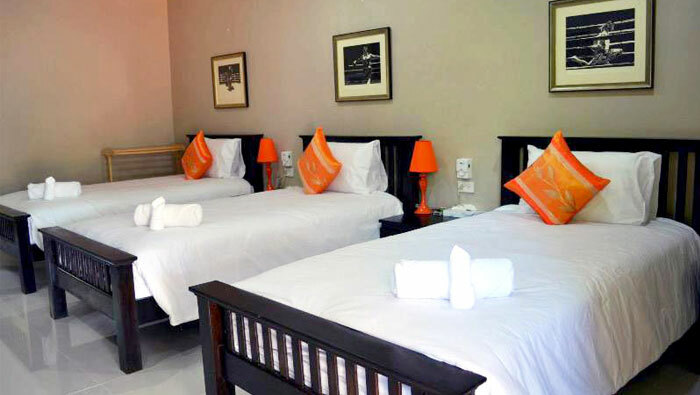 Rawai MuayThai offers its guests inexpensive accommodation on site. The shared rooms are the cheapest accommodation option in the camp. They have 3 individual beds in each room. Furthermore, each person gets his or her own fan, bedside table with lamp, closet with electronic safe, laundry basket and hangers. 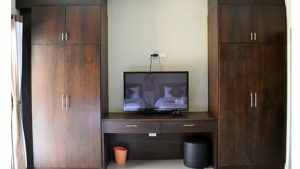 The shared rooms have a large flat screen TV with DVD player and satellite channels, kitchen with fridge, microwave, toaster, kettle, dishes, cups and cutlery, bathroom with hot water shower, a porch with a hammock to relax in. The shared accommodation is located next to the restaurant and swimming pool.